2018. godina je proglašena godinom svjetske kulturne baštine, te je naša škola sudjelovala u projektu UNESCO World Heritage. 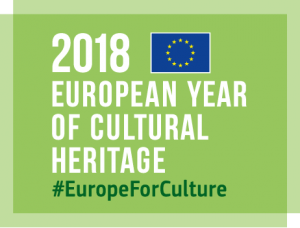 Za promicanje kulturnih vrednota i kulturne baštine iz Europskog Parlamenta stigla je i Logo nagrada EYCH (European Year of Cultural Heritage). European Commission (Directorate-General for Education and Culture Unit D.1 – Cultural policy, J-II 70 02/248, B-1049 Brussels/Belgiumonformed) informed us: your project fulfils the award criteria of the EYCH label, as endorsed by the European Parliament and the Council of the EU in Article 2 of the legal decision calling for the EYCH.